Reporters Without Borders is shocked to learn that the supreme court has confirmed website designer Saeed Malekpour's death sentence. His family said the court took the decision under pressure from the Revolutionary Guards. 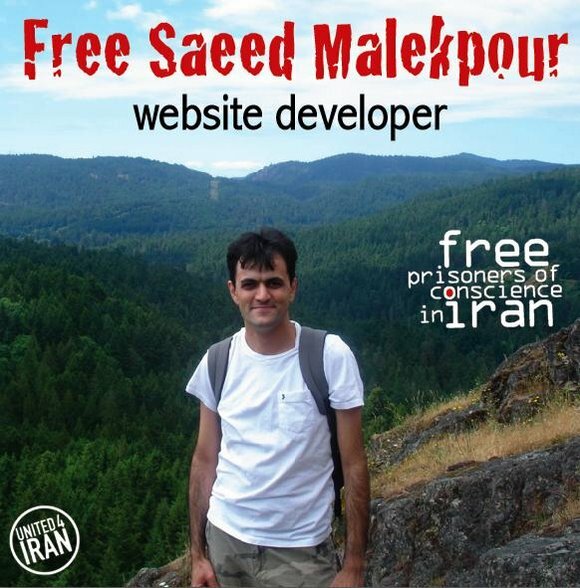 A Canadian resident who was arrested on 4 October 2008 while visiting his family, Malekpour, 35, was sentenced to death in January 2011 on charges of anti-government agitation and insulting Islam. Arrests of netizens are meanwhile continuing. Simien Nematollahi, a contributer to the pro-Sufi website Majzooban (www.majzooban.org), was arrested at her Tehran home by intelligence ministry officials on 11 January on a charge of anti-government propaganda. Several members of the website's staff were arrested on 7 and 8 September and were freed on bail on 4 October pending trial. Mohammad Solimaninya, the head of u24, a social networking website for Iranian professionals, was arrested on 20 January after being summoned before a revolutionary tribunal in Karaj, a town 20 km north of Tehran, on 10 January. Plainclothes intelligence ministry officials searched his home the same day, confiscating his computer, hard disks and CDs. His family still does not know why he was arrested or where he is being held. As well as running u24, Solimaninya has created and hosts the websites of many civil society organizations, NGOs and Iranian intellectuals. Reporters Without Borders is also concerned about Mohammad Reza Pourshajari, a blogger who has been held since 12 September 2010. He was tried by a revolutionary court in Karaj on 21 December 2011 on a charge of insulting the Prophet in articles posted on his blog and in letters sent to government officials while he was in prison. His daughter said the trial lasted a quarter of an hour and took place without his lawyer being present. The charge of insulting the Prophet is very vaguely defined but it carries a possible death sentence and is often used by the authorities to silence critics who try to defy the government. Reporters Without Borders wrote to United Nations High Commissioner for Human Rights Navi Pillay on 10 January voicing concern about the situation in Iran and requesting her urgent intercession.